1. 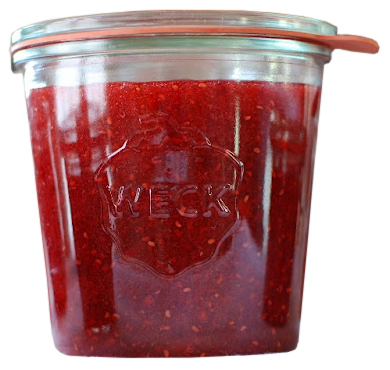 Sterlise your Weck Jam Jars by washing them thoroughly and putting them in the oven at 140C. 2. 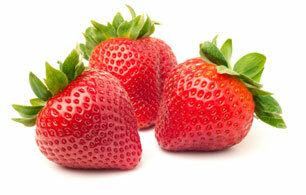 In a large stainless steel jam pan heat the strawberries through until they begin to soften. If you like smooth jam squash the strawberries down with a masher or if you like full strawberries in your jam leave them whole. 3. Add the sugar and lemon juice to the strawberries and stir over a low heat until the all the sugar has dissolved. When you can no longer see grains of sugar, increase the heat and bring the mixture to a rolling boil. Keep regularly stirring the mixture until it reaches 105C. 4. Transfer the jam to your hot sterilised jars. Ensure you leave a 1/2 in (1cm) gap at the top of the jar. Then lay the Weck Rubber ring seal with the glass lid on top of the jar. Use the Weck stainless steel clips to secure the lid for maximum security. 5. Finally, process the jars in a Weck water bath to complete the preserving process. This will ensure your Strawberry jam is safely stored for months. Once opened store your jam in the fridge.